It was a fresh but clear morning out at Belgrave, with a bit of a cold wind but it was better than the rain over the week. 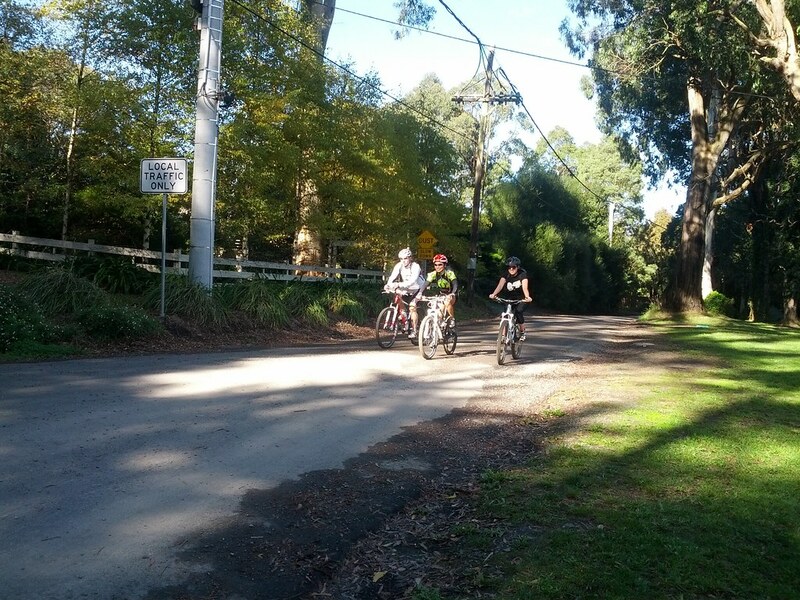 In any-case the 1st few pinchy climbs out of Belgrave got everyone warmed up, apart from a few navigation issues early on people seemed to find their way pretty well. The tough climb up Jacksons Hill rd was rewarded with great views North and South of Ridge road (see the pics below) and a great bit of suburban single track along that everyone enjoyed even if they walked it (least that's what they said). 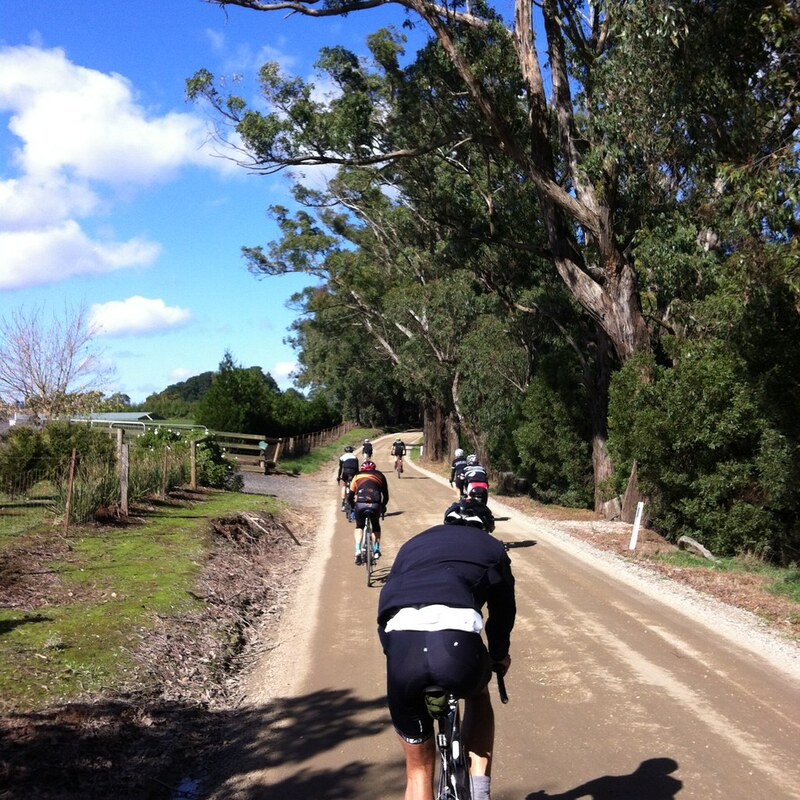 About a third of the 54 riders continued on from Gembrook into Kurth Kiln State park on the 80km loop, most agreed the views and smooth roads were worth the extra 30kms. Portmans rd was a highlight, a steep dirt road (I had reports or 25-27% grades from riders) that just keeps getting steeper as you go, a handful managed to ride the whole thing. Back at Belgrave riders started rolling in, some riders had made their own shortcuts, visited cousins and had a bit of an explore on the side which is encouraged (it aint a race). Also to be noted is that we had (I think) two intergenerational pairs of riders -a father and son and uncle and nephew.